Stand out wherever you are with the Kia Sportage. Whether you're slicing through those busy city streets, or cruising out in the great British countryside, the Sportage makes an impression wherever it goes. 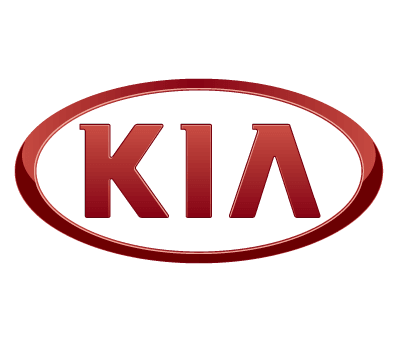 Combining a perfect balance of style and sophistication, the Kia Sportage is the perfect balance of striking looks, fuel efficient and room for your passengers and more. 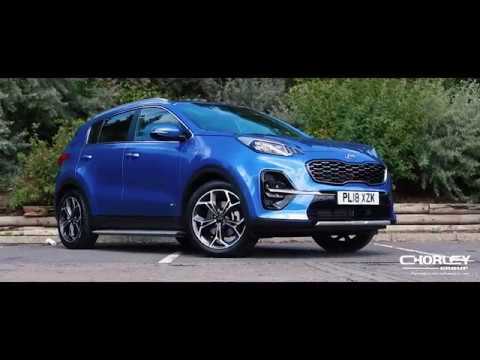 Generation 4 (2015 - present): The Kia Sportage has experienced a multitude of changes over it's past 4 years on the latest generation, adding generous room, beautiful body styling and fantastic performance efficiency, the Kia Sportage takes on another level with the brand new 2019 model. 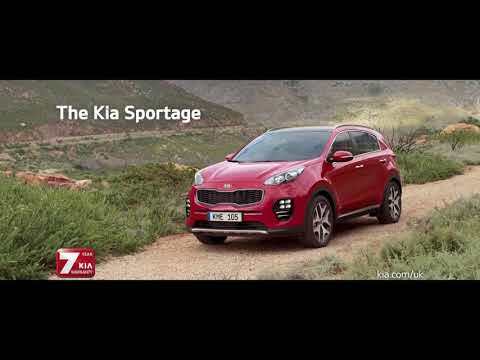 You can download a full list of the accessories available for the Kia Sportage here from the brochure. Cutting edge technology with the Sportage provides you with a relaxed journey. The full LED headlights ensure that the road ahead is lit up enough, providing a great field of vision for yourself and other road users, making your presence known to maximise safety for all. The reversing camera and 360 around view monitor enhance your field of vision when reversing into those tight spots, ensuring that you don't damage your pride and joy when in the busy city streets parking. You'll feel right at home inside the Sportage. Placing you inside satin chrome detailing and high gloss inserts, the car gives you just the right amount of pleasure which is easy on the eyes and body. Always know the speed limit with the Speed Limit Information Function in the new Kia Sportage. A camera detects speed limit signs on the road and feeds the information back to your vehicle, signalling to you what the speed limit is for the road you are on, ensuring you abide by the limit and keep yourself and other drivers safe. Low battery? Not a problem. Forget about messy cables clogging up your dash space, go wireless with the wireless charging station installed on this Kia Sportage, giving you a tidy and driving space and keeping your phone topped up along your journeys! Escape to a different world with the JBL soundsystem in the Kia Sportage. You can listen to your favourite songs in a bliss and playful experience whilst driving in peaceful harmony, be it in a busy city or the great outdoors, the Sportage always provides a festival like experience to keep you company.